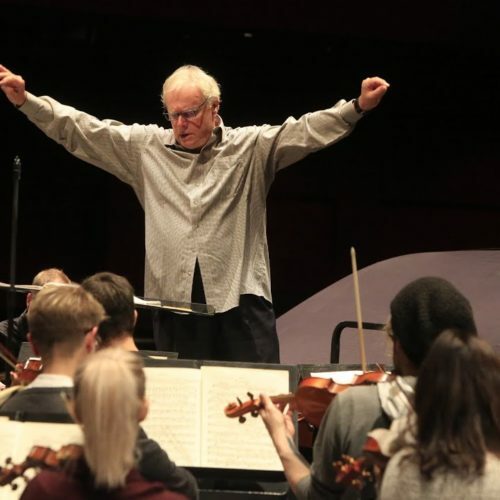 There has been no official word of Yan-Pascal Tortelier, who was rushed to hospital shortly before his National Symphony Orchestra concert on Thursday night, prompting its cancellation. The following night’s NSO concert was conducted by the Baltimore assistant, Nick Hersh. We hope Yan-Pascal, 72 this week, is doing well. The Besancon Festival has just announced that he won’t take part in pre-selectionn for its conducting competition because he has been ordered to take several days’ rest in Washington before he can fly again. It looks like his body gave the maestro an unmistakable sign: either you slow down, or we will both die. May recovery be full, after the required time of rest. And may the vital lesson be learned. Most likely his heart was shouting. We have many fond memories concerts with Maestro Tortelier. Hopefully, he’ll come back soon, good-as-new.